​The KKH Children's Cancer Centre is among the largest paediatric children's cancer centres in South-east Asia and treats 70% of childhood cancers in Singapore. A growing number of children with cancer from the region are being referred here. We offer a comprehensive range of services for children with cancer, and a multi-disciplinary team comprising paediatric oncologists, paediatric neurosurgeons, paediatric oncology surgeons, anaesthetists, in-house pathologists and pharmacists along with specially trained paediatric/oncology nurses and paramedical personnel care for them. The centre is equipped with 23 inpatient beds, 4 Bone Marrow Transplant rooms, 12 Day Therapy beds for outpatient treatment, and a pharmacy which dispenses only oncology drugs. We also have pheresis facilities to support stem cell transplant in the treatment of cancer. Our approach to children’s cancer is to offer holistic care. Thus, in addition to the patient’s medical needs, their psychosocial needs are also seen to. 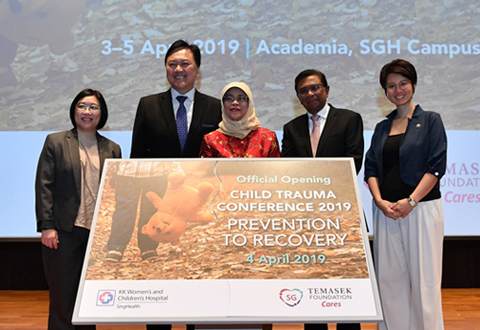 Since 1997, the Children’s Cancer Foundation has provided much-needed psychosocial support in way of counselling, therapeutic play, a Parent’s Support programme and a Bereavement programme, all provided at no cost to the patients. The centre is also designed to cater for patients’ and their parents’ physical needs in mind with plasma TVs, a playroom, computers, a well-equipped pantry and provision for each Bone Marrow Transplant room to be personalised to resemble a patient’s room at home. Our Day Therapy Centre effectively allows our patients to receive chemotherapy and blood products in the outpatient setting, making it more cost-effective and convenient for them. Having started our Blood Stem Cell Transplantation programme in April 1998, we have to date successfully transplanted 200 cases, giving us a survival rate that is comparable with other advanced centres in the world. We are equipped with a pheresis machine to harvest peripheral stem cells for transplant and leukopheresis.